Little People of Fulham has been rated 'outstanding' by Ofsted. It is the larger of our two nurseries and a wonderfully stimulating environment for little people to play and learn. Our Fulham nursery boasts a secure home-from-home environment for all ages. For the youngest Little People we have a fully equipped Baby Suite with a separate sleeping room, sensory play room, baby art room, comfy lounge, bathroom area and milk kitchen. 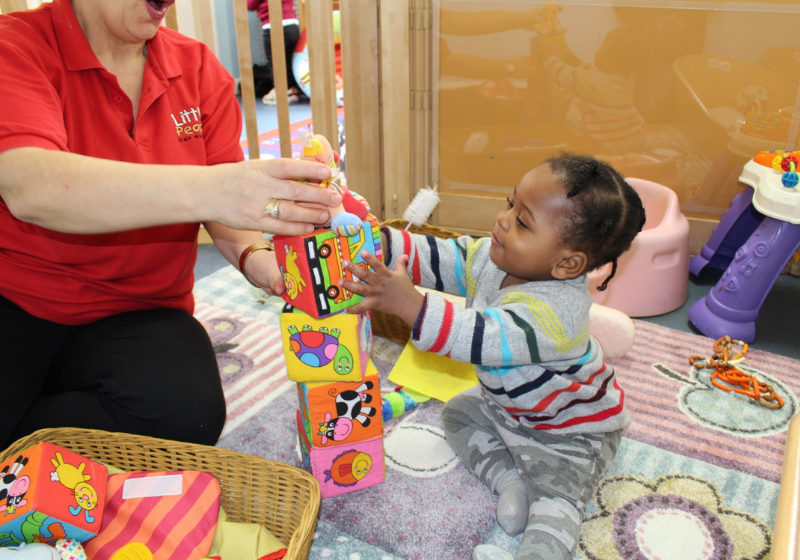 Once the babies start comfortably walking they can move into the Butterfly Room which is a large open space where the toddlers can continue developing their movements, relax in the reading corner or enjoy some sensory messy play. At around 2.5 years old when the toddlers are ready they move upstairs to our Ladybird Room where they can enjoy the use of 4 classrooms shared with the Montessori Pre-school Room (age 3+) including a full art suite, 2 Montessori classrooms and an IT suite. Here the children also take Spanish lessons. We have a large garden area which is used daily if possible with sensory play areas, a climbing wall and a growing garden as well as our upstairs studio where the children have weekly ballet, yoga and gymnastics classes with our specialist instructors. Children in the Montessori class have additional access to swimming lessons at the local swimming pool and football coaching with Fulham Football Club. We offer three freshly prepared meals a day plus snacks for the children, all prepared on the premises by our cooks with the majority of our produce from organic suppliers Abel and Cole. We also have daily access to the local parks, markets and a local library and the nursery runs a comprehensive Forest School programme each week, read more about this here.